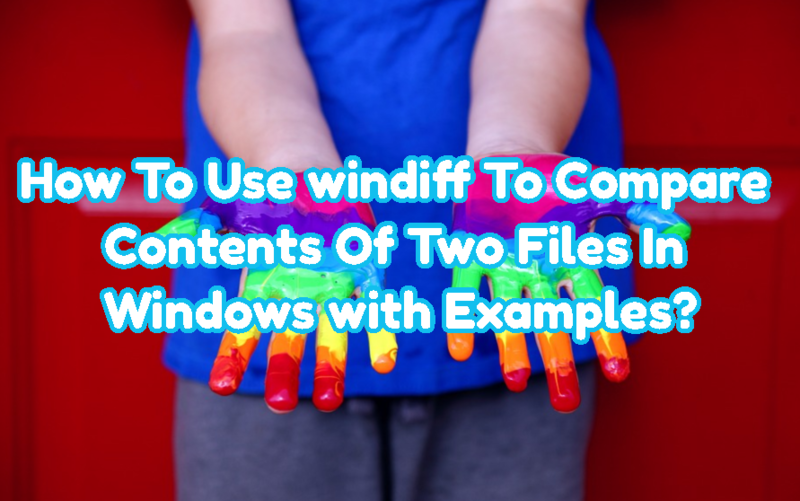 windiff is a tool used to compare given files contents and print same and different lines. windiff is provided by Windows SDK Core . So in order to use this tool we need to install Windows SDK Core for different versions. windiff can be downloaded from following links. Windows SDK is very large file which can take huge bandwidth and some time. We have also an alternative and faster way. We can download windiff.exe from Grigsoft from the following link. We will use following syntax which is very simple. We will provide two file names if they are in the current working directory or paths. We will provide two file named to the windiff in the following example. These files are named as ABC.txt and XYZ.txt . Differencies will be colored as red. Same lines will be printed in green.